The folks at the Edinburgh Festival Fringe, and at Edinburgh Spotlight, have been doing a great job this week raising enthusiasm for the Edinburgh Festival Fringe 2010. I must confess to having had ‘Fringe Fatigue’ last year (sorry! 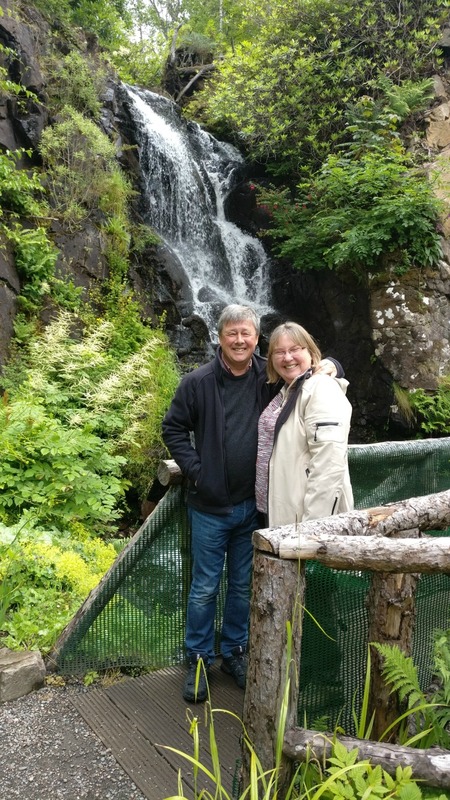 ), and having spent a week of August out of Edinburgh just to escape the hustle and bustle, and because it was a ‘last summer’ for a chapter of our family’s life story (but that’s an entirely different tale). June 12th saw the launch of the 2010 Edinburgh Festival Fringe programme, and my enthusiasm has returned. In all the rushing about I was doing, I had a moment of quiet reflection about what the Fringe has meant to me over the years, and indeed how I was originally introduced to it by my Dad. When we were children, Dad worked in a building society and was busy during August with things that building societies did (honest, trustworthy institutions that they were back in the ‘friendly society’ days). But he took time out to take us to the Edinburgh Military Tattoo. A very exciting experience for young children who were used to being tucked up in bed by 8 o’clock. 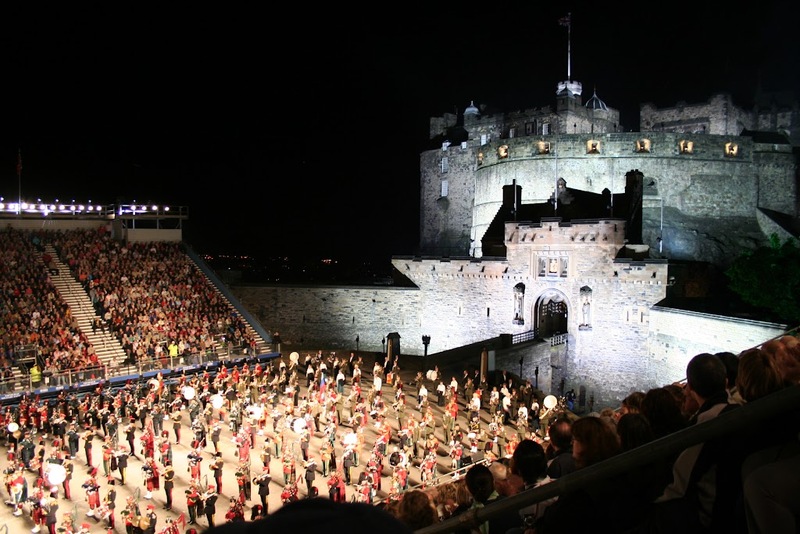 The Edinburgh Military Tattoo was our first experience of outdoor events, spectacle, massed Pipe Bands and usually a scary centrepiece involving gun fire or speeding motor bikes. No matter that we had to be huddled under blankets and even carried back home sleepily afterwards – we’d had great fun, been thrilled and in awe, and even cried when the Lone Piper made us feel what it was to be Scottish. Later, as we grew up, Dad would be involved in organising some special days out at the Edinburgh Festival Fringe for us. He loved the challenge of organising a day where we would start at 11.00 am and finish at 11.00 pm and have managed to cram in samples of many different types of entertainment in a day – he’d only have a whole day off every second Saturday, so it was really important to make the most of the day. So we’d start at a children’s show, have lunch with a cabaret or musical event going on round about, take in an exhibition or two if the schedule allowed, see a serious theatre piece in the afternoon, find time for tea somewhere swanky, or unusual, and then off to a Footlights performance or a revue type show and something more risqué in the late evening. We usually managed to cram in around 6 performances in the course of one of these days, and over the years we found our favourites. We’d always have ‘Instant Sunshine‘ (in the Miles Kington days) somewhere on the list, and either the Cambridge Footlights or Oxford Revue, a puppet show and the main exhibitions plus whatever The Scotsman reviews suggested was worth seeing. Was it easier to get tickets in those pre-information-revolution days? After the rest of the family moved away from Edinburgh for various reasons, I stayed on and by this time was working and living in the city Centre. I’d loved the format of cramming so much into a day so much, that I started working it out for myself. Finding the weekends usually too busy, I’d take a weekday off in each of the three weeks of the Festival – with the bank holiday being a given, so only two more to take out of my annual leave. I continued the pattern of trying to fit around 6 shows in during a day, and of course doing it all ‘on foot’ as the centre of Edinburgh lends itself to that too. Having discovered the power of coloured marker pens and a big piece of paper for planning, I was in stationery heaven. As soon as I got my copy of the Programme, I’d pore over it, marking all the ‘would like to see’s’ and then adding them to a big list and working out how to fit in as many as I could. It seems on reflection that there were more ‘one week runs’ then, rather than shows being on for the duration, so you had to jiggle about sorting through the lists until you had something approaching a plan, and then of course you had to go to the ticket office in person, there being no ‘on-line’ ordering in those heady days. So here I am in 2010, the Mum now. For the last few years I’ve been taking my own children to the Edinburgh Military Tattoo. They’ve had that late night excitement, and we’ve had our turn going to the pre-school, pre-reading ‘baby’ entertainments. We’re also past the stage where one of the children is ‘too young’ and the other ‘too old’ for the majority of the children’s entertainments. And we’re also excited by the range of things we might experience – all on our doorstep, all within a short bus ride or walking distance. We’ve got our Edinburgh Festival Fringe enthusiasm back – hurray! And with the advent of the Excel Spreadsheet, and on-line ordering, we did lots of planning, sorting and ticket buying from the comfort of our home. We can’t wait for the magic to begin.